Is Fault Automatic in Rear-End Collision Cases? You may have heard that when there is a rear-end accident, the person doing the rear-ending is always at fault. While this is true in most rear-end collision cases, it is not always the case. If you were involved in a rear-end collision in Tampa or Petersburg, you may be worried about what that means for you. 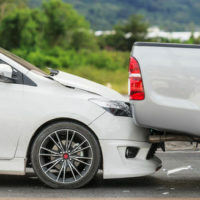 However, if you suspect that you would not have rear-ended the other driver had it not been for his or her negligence, stop worrying and reach out to a skilled Tampa car accident lawyer right away. An attorney can examine the evidence of your case, determine whether or not you are liable for the accident, and help you begin building a solid defense. That the accident resulted in actual damages. Finally, you need to show that the breach caused the accident and that the accident left you with serious damages. Damages can be in the form of injuries, property damage, lost wages, medical bills, pain and suffering, or all of the above. A lead driver stops suddenly to perform a turn but fails to execute the turn. In many rear-end collision cases, fault lies strictly with the tailing driver or is split between the lead driver and the tailing driver. However, in the aforementioned scenarios, the lead driver may be held 100 percent liable. At the very least, the lead driver may assume a majority of the responsibility for the accident and be forced to pay for some of the other driver’s damages. This type of arrangement is made possible by Florida’s pure comparative negligence theory, under which damages diminish in proportion to the amount of fault assigned to the claimant. 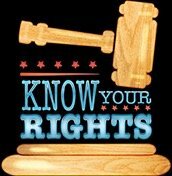 If you are the defendant and a greater percentage of fault is assigned to the claimant, you will not be forced to pay for any damages and, in fact, may be entitled to damages yourself. However, you would need to file a claim of your own in order to win said damages. Just because you rear-ended someone does not mean that you are automatically responsible for the accident. Depending on the circumstances of the accident, the other driver may be held partially or fully responsible. You cannot know for sure, however, unless you consult a skilled Tampa car accident lawyer. Call Barbas, Nuñez, Sanders, Butler & Hovsepian today to schedule your free consultation.